The only right way to play Persona 3: Dancing in Moonlight and Persona 5: Dancing in Starlight is to play them together. Individually they’re a little limited, but taken together they’re a marvellous celebration of the incredible music that has powered so much of the tone and emotional power behind the Persona series for many years now. It's even better if you get the limited edition and get a code for the PlayStation 4 port of Persona 4: Dancing All Night (Persona 4 DAN), too. Persona 4 DAN was one of the finest titles on the PlayStation Vita. It combined incredible remixes of the Persona 4 soundtrack, brought back all of the beloved characters from the JRPG (fanservicey costumes and all), offered superb core rhythm game mechanics, and even had a lovely story mode that, against all odds, managed to build on the world and stories of a narrative as mighty as what Persona 4 offered. It was an incredible effort all round. Sadly, Persona 3 and Persona 5’s dancing titles don’t have that story mode. Instead, they have “social links” that you unlock as you play, and those act as little vignettes that give you an opportunity to have another chat with a favourite character. Unfortunately, those social links don’t really add much to their respective characters. For the most part, the characters talk about the dancing they're doing, and muse over the shared dreamscape that provides the setting. From those social links there is something of an overarching narrative that emerges - one that even links Persona 3 and Persona 5 dancing together, but it's too brief and frivolous to be much of anything. The only real reason to sit through those vignettes is because at the end of each of them you unlock a new costume or accessory to use in the rhythm game, and that's the real appeal of these titles. 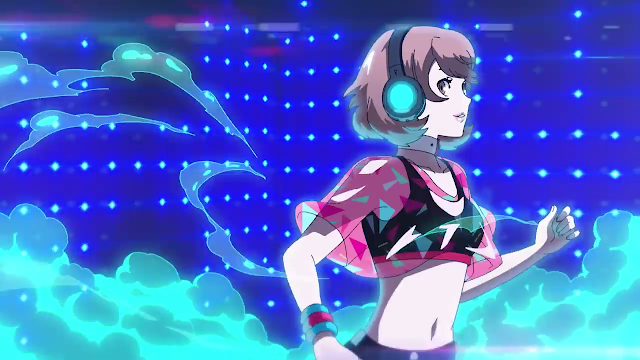 Both new Persona dancing titles really take the costume options to another level, emphasising the music video and performance aesthetic over the more narrative driven Persona 4: DAN. These costumes range from just about everything each of the characters wore in the base JRPGs, right through to the most hilariously self-referential fanservice, such as an actual chainmail bikini for Persona 5's Ann. Combined with the gaudy presentation of each "music video clip", and the over-the-top dance routines, which, with few exceptions, behave like a smooshed together amalgamation of a range of dance styles, both Persona 3 and Persona 5 share a heavily J-pop visual aesthetic, which is both vibrant and appealing, and something appropriate to the heavily Japanese stories and aesthetic that we experience through the JRPGs themselves. The action is effectively the same as it is in Persona 4 DAN. Around the edge of the screen is a ring, and the icons that represent timing move from the centre of the screen to that ring. You need to press the right button on the controller at the same time that the icon hits the middle point of the ring. 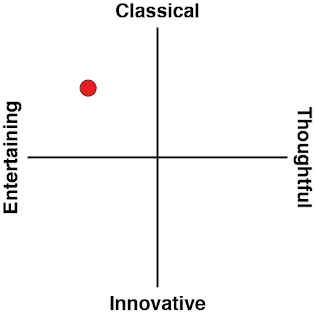 The more accurate you are, the larger the combo that you'll wrack up, and the more points you'll score. The occasional note has a different condition (you need to press two buttons simultaneously, or hold one for a couple of beats), but for the most part, these are all very traditional rhythm games, and rely on the quality of their design and the music itself to hold the player's attention. Thankfully, the design is very, very good. 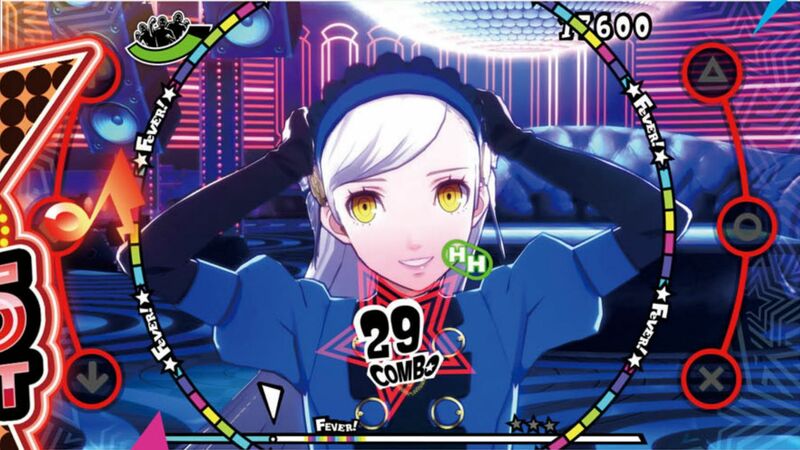 Like the best rhythm games, all three Persona dancing titles are challenging affairs, and the overall arching goal in playing is to get a perfect score on each track. You might do that within the first couple of attempts on the easiest difficulty, but from "normal" difficulty and onwards, you'll need to diligently practice each individual track, accepting that you'll make plenty of mistakes and need to restart over and over again, in order to get those perfect scores. People who are content with simply passing a track will find the relatively limited tracklists in the Persona dancing titles (at least, in comparison to something like DJMax Respect or Hatsune Miku: Project Diva Future Tone) makes for a limited video game, but combined together into three, there's actually a lot of music there, which is why I would never recommend purchasing these titles individually. They work best as a set. 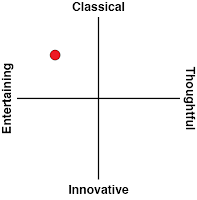 For people who like a genuine challenge, aiming to get those perfects closely mirrors the training that you need to undertake to become good at a musical instrument. I've got to say that for the most part my prefered rhythm games aim to emulate the experience of playing an actual instrument. The Persona dancing structure is too abstract for that, but the design of the beatmaps is still absolutely perfect for forcing you to feel the music and participate in it. This is particularly true on the very highest difficulties, making them the ideal way to play, though anyone jumping straight into that will likely be intimidated off playing further, so it's still a better idea to ease in by mastering the easy difficulty first. The one issue I have with the Persona rhythm games is how limited they are with using each character. If you're a fan of, say, Ann in Persona 5, or Rise in Persona 4, you're limited to using them in a restricted few tracks only. Meanwhile, characters you don't like (Futaba, Yosuke) get their own tracks, and they can't be replaced. I much prefer the system in Hatsune Miku games, where you can replace, say, Luka with Miku, so even if it's Luka's voice in the background, you can have a character you like doing the dancing. 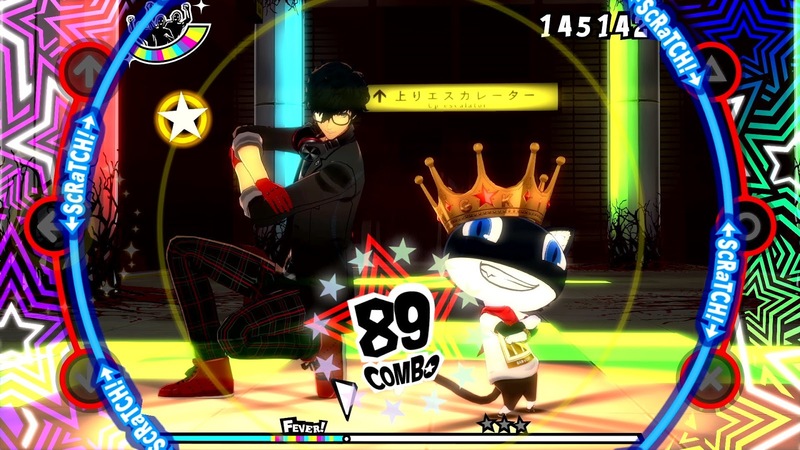 The way the Persona dancing titles do it is a more significant let down than it might seem on paper - the very reason these titles were produced in the first place is because people wanted to see more of their favourite characters, so it's a pity that those favourite characters only get to shine for a couple of music tracks. This is exasperated further by Persona 3 and Persona 5 dancing specifically because there are also "cut scene" tracks, where footage from the game or anime plays in the background, and no character gets to dance in those ones. The PlayStation Vita version of the Persona dancing titles plays better. With the smaller screen, the ring around the edge - where all the actual gameplay action happens - fits better in the field of vision, which is important for the more difficult tracks. With the PlayStation 4 version of each, if your TV is big enough you need to keep your eyes in constant motion in order to not miss anything happening on the edge of the screen, which makes it harder to firstly watch the characters dancing in the middle of the play field, and it requires more memorisation to have any hope of getting a perfect score on a track. That being said, the PlayStation 4 version looks better, with higher quality character models, so playing dress up with them is more enjoyable. 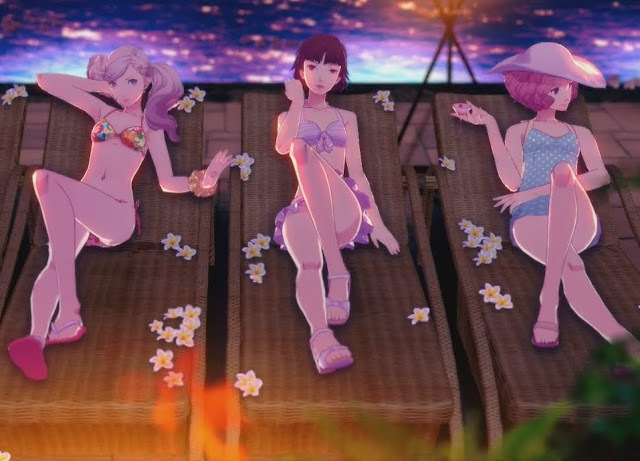 There's also a very superficial addition of VR to view the characters, which is pure fanservice... but works in the context of the rest of the game anyway, and is a nice bonus. I thought I would be more disappointed by the lack of a "story mode" in Persona 3 and Persona 5 dancing than I ended up being. As much as that was a killer feature and critical part of Persona 4 DAN, once I actually started playing, the slickly produced rhythm action, and absolutely stellar dance remixes of stellar soundtracks more than won me over all over again. Atlus has proven that Persona 4 DAN was not a one off, and while SEGA and Atlus seem to have lost the Hatsune Miku license recently, it is clearly not because the company has lost the ability to produce a sublime example of the rhythm game genre.